Part 1. Listen to the song while choose the correct word. Part 2. Vocabulary part. 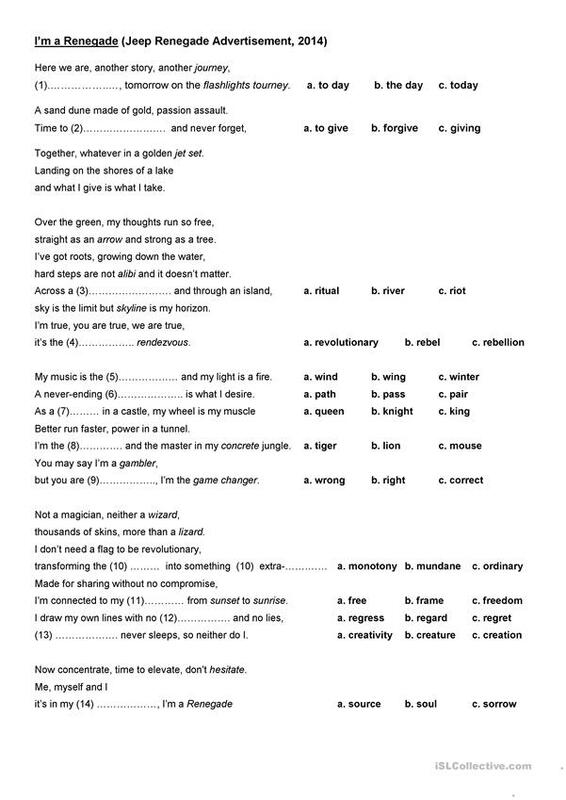 It's relevant to know what the song is talking about, so students have to match the first column with the second one so that they can find out the meaning of some words from the song. 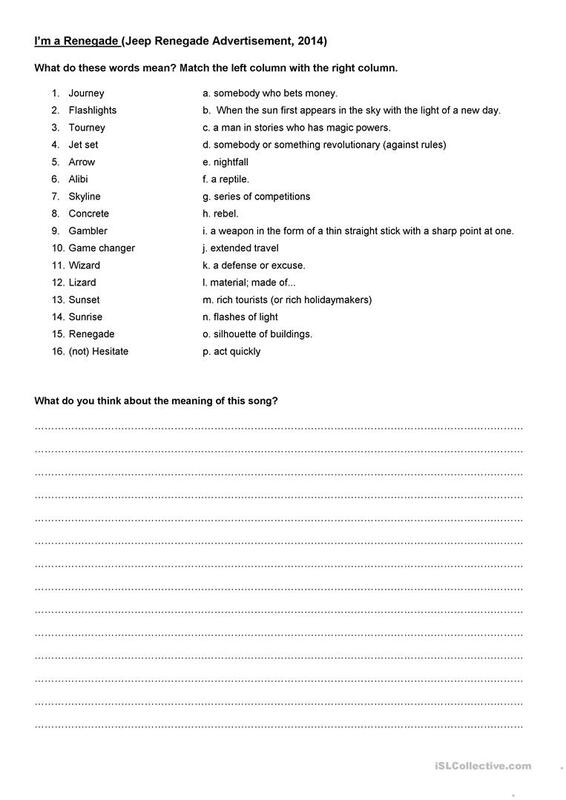 The present downloadable worksheet is recommended for high school students and adults at Intermediate (B1), Upper-intermediate (B2) and Advanced (C1) level. It is a valuable material for enhancing your groups' Listening and Writing skills.